Sky Deutschland has secured the exclusive live broadcasting rights for the VELUX EHF Champions League. 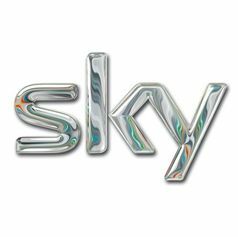 As of the 2014/15 season and continuing through the next three seasons, Sky will be the exclusive broadcaster of all games of the German teams as well as the VELUX EHF FINAL4. In addition to the exclusive TV broadcasting rights, the agreement also comprises the internet, IPTV and mobile rights for Germany and Austria. In the 2014/15 season, the German record-holder THW Kiel, defending champion SG Flensburg-Handewitt and Rhein-Neckar Löwen will represent the Bundesliga in the VELUX EHF Champions League. Sky will broadcast each of the 30 group phase games of the German clubs as well as all games of the Last 16 and quarter-finals with German involvement live and exclusively. Sky will also be the exclusive broadcaster of the season highlight, the VELUX EHF FINAL4 on 30/31 May 2015 in the LANXESS arena in Cologne, live on German television. The highlights of the games of the German clubs will be available on demand for all handball fans at no cost at sky.de/mediathek. Sky Deutschland AG is the leading pay-TV provider in Germany and Austria with more than 3.8 million subscribers and revenues amounting to 1.7 billion Euros. The MDAX-listed company offers subscription television as well as on-demand services for private and business customers. The Sky platform comprises more than 70 exclusive channels, almost all of which are also available in HD. The program portfolio of Sky includes live sports together with the only German 24/7 sports news channel Sky Sport News HD, feature films, series, children's programs and documentaries. The Sky+ hard disk receiver allows for time-shifted television and the Sky Anytime on-demand service enables customers to enjoy hundreds of constantly changing titles. Sky Go, the leading online TV in Germany, provides access to Sky programming via mobile devices and PCs. Moreover, the online media library Snap by Sky offers thousands of titles – among them blockbusters, classic films, complete series box sets and children's programs. Sky is the innovation leader in the German and Austrian television markets. In the past two decades, Sky has played a major role in establishing pay-TV as the third pillar of television entertainment alongside fee-financed and advertising-financed broadcasters. Sky has 2,500 employees and is based in Unterföhring near Munich. The VELUX EHF Champions League brings together the leading clubs and top players in Europe’s premier club handball competition. 24 teams compete from September through to May for the chance to qualify for the season’s highlight VELUX EHF FINAL4, which will take place on 30/31 May 2015 in Cologne’s LANXESS arena. More information at ehfCL.com. The European Handball Federation is the umbrella organisation for handball throughout Europe with its headquarters in Vienna, Austria. The federation is responsible for top club and national team competitions including the VELUX EHF Champions League. Media and marketing rights for all club competitions are managed by the EHF’s marketing company, EHF Marketing GmbH. More information at eurohandball.com.